With Bisu deciding to leave the scene in order to do his military service last December, a massive crisis started brewing on the horizon. With their best and most consistent Protoss player gone in the post-KeSPA scene, it seemed like the Protoss race will finally face extinction at the hands of the Zerg. 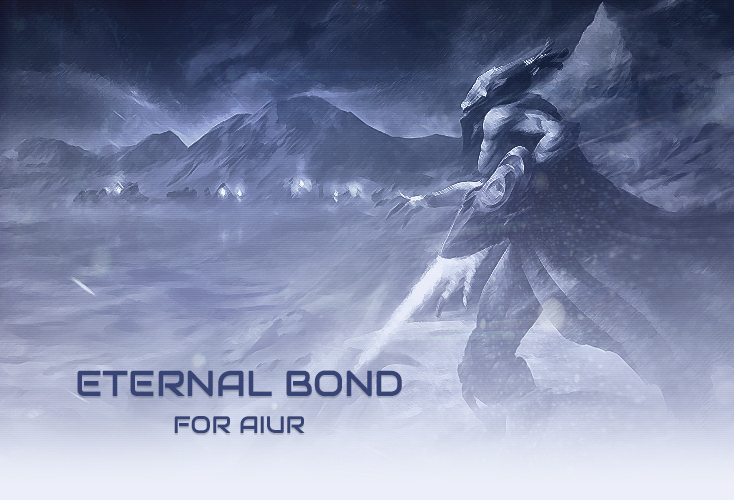 Only a few Protoss players remain but from this lot, who shall rise up and claim the throne for Aiur? Who will become Bisu's true successor and be burdened with such massive expectations and pressure that will be difficult to contend with? It's no secret that filling Bisu's shoes and taking over his place in this era is no easy task. Bisu has always been a menacing and resilient Protoss. At times, the last one standing in an era dominated by Terran and Zerg stars everywhere. Despite his soft looks, he understood the match-ups well, was extremely reliable, strong-headed, multitasked like a beast and macroed like a monster. While his absence has already been felt by many fans, with some claiming that they'll never see a Protoss player finishing in the upper echelons of ASL, things may not appear as bad as they seem. "The hopes and dreams of protoss fans everywhere march with you"
If anime and movies have taught us anything, it's that friendship and support from others are a greater weapon than even we can imagine and can help overcome any and all obstacles. Think back to how many times we've seen protagonists pull off the impossible. How many times have we seen Goku in DBZ constantly push his limits in every battle, all to save his friends and family? What about others like Gon who underwent massive power-ups in order to exact revenge and in a twisted way, justice in one of the last arcs of HxH? There were even special moves that relied on people's energy. Moves like the spirit bomb have shown their effectiveness time and again. The fans' support can be a massive boon for players, especially ones that can understand the fans' feelings, and more so in times of turmoil. While the fans factor heavily into a power-up, let's not forget that sometimes, something as simple as the feeling of inheritance can also play a major role in allowing one to surpass their limits. Before Bisu left his friends and former SKT T1 comrades, Best and Rain, he passed the torch to them, asking them to take care of the Protoss race. Thus begins a new age! When Rain returned to the scene, he was a bit of an unknown. After all, his BW career was cut short by KeSPA transitioning to StarCraft II. His most notable achievement at the time was winning the rookie of the year award in Proleague, where he had a respectable record. He was a rising star on SKT T1, and sources say that he was a beast in practice. Rain would not disappoint as he showed us some of his untapped potential, helping to knock EffOrt to the finals' match after playing one of the best PvZ games in 2016. A game that showcased his immaculate macro, fantastic micro and great decision-making skills all around. While his results for the rest of the year hovered all over, he finished ASL4 with a top 8 standing which is quite commendable. Throughout his games, one thing was certain. He was a great contender for the second best Protoss after Bisu. One of his biggest problems that held him back was the lack of motivation. He had the skills and could keep up with some of the best, but he seemed to lack the desire to push himself in order to go further. It would seem that he was content to sit back and watch everything unfold. Anyone who has tuned into his stream during those days can vouch for this. This has been commented on by other Protoss players as well. Bisu's departure has left the Protoss race in a tight spot. They need a hero now more than ever and it seems that Rain is finally stepping up to the plate, finding the motivation that he has been lacking all along. Now, it's true that Rain's winrate in PvZ does not paint him in good light. Infact, his record sits at 6-11 or 35%, if all tournaments are considered, including ASL2. However, when he played in the wildcard matches to see who takes Bisu's spot in the Ro16, he crushed his competition. Killer stood no chance and was dismantled easily, but it was his games against Soulkey that truly showed what Rain is capable of. The back and forth dancing, multitasking like a madmen to keep his corsairs alive, making correct decisions, and being all over with drops. Moves that only Bisu can pull off with great success on a fairly frequent basis, but Rain was on point that night. He ended up beating Soulkey and achieved victory for the Protoss race, taking Bisu's spot in the Ro16. During the interview, he stated that he can be a competitor for Flash and can go all the way. Brimming with a lot of confidence after taking out one of the best Zergs, and realizing that it's his time to shine, Rain is finally ready to show us what he's made of. Will he become the hero we need, but don't deserve? Will he truly become Bisu's successor, and lead the Protoss race? Of course, there is absolutely no way that Best will just let Rain have such a coveted position. They may have been comrades and are still friends, but this position comes with a lot of prestige, and expectations from the fans. To be considered Bisu's successor is to be considered a master in PvZ and a threat to the Zerg race. From that perspective, can Best even fulfill such steep requirements himself when it seems like he's had such mixed results in PvZ? Much like Rain, Best's strong suit is his insane macro. Once he gets his macro going, there's no stopping him, especially with his control. His multitasking is one of his weaker points that he was criticized for in the past, but his experience in the game heavily trumps Rain's experience. He debuted back in 2006, and is one of the six dragons. He has had his fair share of success and several decent standings, including a loss in the finals of EVER OSL 2008 to JulyZerg during the KeSPA era. On the other hand, most of Rain's experience in the KeSPA era was from 2009 onwards, mainly in Proleague where he posted good results. In comparison to Rain's PvZ, Best's winrate looks a lot more amazing. Even though he's gained nicknames such as Dohsairs for his poor corsair control, his PvZ stats, which include both offline and online tournaments since ASL2 show a record of 10-7 or 59%. Since then, he's beaten some strong ZvP players, including Jaedong, hero and EffOrt. He was close to eliminating Soulkey in ASL3 as well. He may not have had the best results in ASL4, but he showed quite the game against Calm in the latest ASL where he utilized storm drops extremely well, and made great decisions all around to take quite the thriller on Gladiator. His macro, experience and recently acquired mental fortitude all make him a strong opponent, even in one of his weakest matchups. In the post-game interview, BeSt stated that Bisu's departure has left the Protoss race in a sad state, but it's also in times like this that a hero has risen, and that he'd like to be that hero. BUT, wait... you thought that was all? Surely, there has to be more Protoss players interested in taking the lead? What if I told you there is one more competitor who'd like to take the helm and lead the way? No, I'm not talking about Stork. The dinotoss may be a fine-tuned machine in PvT with a deeper understanding of the matchup than anyone else, and his PvP is not bad either, but PvZ is a match-up that he struggles with. His current winrate there, from a small sample size, sits at 1-6, or 17% with a lone win over Miso. He may do well on stream, but tournament results are of the utmost importance here. I'm not talking about Snow either. Snow has some of the best PvT and PvP at the moment, but his PvZ has always been his worst matchup. His tournament winrate for PvZ sits at 2-8, or 20%. Much like Stork, he does play better when he does sponmatches, but his performance on stage will determine whether he can shoulder the fans' expectations, and it does not look great right now especially when there are many Zergs in the Ro16. This also isn't about Mini. It's true that Mini is extremely strong in PvP, and has an interesting style in PvT/PvZ. A style that is annoying to play against and that even Flash has trouble with! Basically, he's no slouch and stacks well compared to the other players mentioned so far. His PvZ in tournaments sits at 2-3, or 40% though that is a small sample size. The problem is that Mini does not seem to be interested in leading the race, and he stated in his Ro24 winners' interview that he'd rather avoid all Zergs going forward. The player that was alluded to is none other than the Monstrous Progeny of Capitalism, Shuttle! "I'm sorry, but that's me, not you!" It seems that our friend Shuttle is also vying for the position of the hero. It's hard to believe that someone who has publicly detested the Zerg race in the past, hoping that "they'll all just disappear" wants to lead the race, however, that might be precisely the kind of individual we need. Someone who is able to emphasize with the fans, and understands the Protoss plight extremely well, especially when it comes to dealing with the dastardly Zerg. Furthermore, Shuttle has vastly improved from his older KeSPA days, and was named by Flash as one of the most improved players in the latter's first interview with BW staff. This was the player who won ASL making it look easy as he beat a lot of players, including Last. He's the same guy who spoke of doing nothing, but eating, shitting, sleeping, and streaming during that time which showcases just how much of a hard worker he is. Afreeca just recently recognized his hard work as well and he's become a PartnerBJ. His games in the Ro24 were a bit shaky, but neither opponent he faced was a Zerg. Rather, he held an all-in on Transistor and then beat Sky with dark templars in the next match. He should not be underestimated, not even by a bit, because he is still an ASL champion and his performance increases exponentially when money is involved. His current PvZ tournament winrate sits at 9-3, or 75% since ASL2. He landed in an all Zerg group in the Ro16 which includes Larva, Jaedong and EffOrt. This will test his resolve and will show us whether Shuttle can truly become a leader or not. A quick look at the sponmatch results of the Protoss players mentioned above gives a good idea of how well they stack against each other, and Bisu. The sponmatch results are from May 2017 till March 2018, except for Bisu's results which are till the end of November. While Bisu had the superior stats for all of the matchups, some of the players' winrates come extremely close to matching his record. For PvT, Snow is the closest to his 64% winrate rate, sitting at 61% while Best is close behind at 59%. Rain and Mini trail behind the two by a bit while Shuttle and Stork round out the group. For PvZ which is considered to be the worst matchup for a lot of Protoss players, Rain manages to edge out the lot with a 54% winrate, second only to Bisu's winrate of 59%. Best sits at 50% which is quite close to Snow and Mini's 49% winrate. For PvP, things are shaken up quite a bit with Mini taking the lead in the current group of players, hitting 64% which is not too far off from Bisu's insane 67%. This is followed by Snow and Shuttle at 60% and 58% respectively. . Rain edges out every single Protoss, including Bisu, with a winrate of 46% against Flash. Snow and Best scuffle for second place with a winrate of about 38% while Mini, Bisu, Stork and Shuttle all come within several percentiles of each other. This might explain why Rain was so confident in his wildcard interview when he talked about Flash. If anyone can knock out Flash from this group, it's him. And with that, we've got ourselves a competition, folks! Who will be the first one to claim the Protoss throne and knock out Flash? Will it be the newcomer, the dragon, the ASL1 champion, the reaver expert or he who's style confounds all? No protoss touches Bisu in the post keeps era for offline tournaments . His resume is filled with golds, silvers, and was consistently in the final four. Counting SSLs, Movie is actually the second best protoss of this era despite having a family and job. The fact that movie doesn't even make the charts above makes me sad, but also proves how amazing he is. Despite all the hype for everyone else, Movie is who I have my eye on should he commit himself fully to SC1. Rain is the best. After i some some matches in a think ASL 3 ? or maybe it was 4, it was clear (to me) that Rain really is the best P player. "it seemed like the Protoss race will finally face extinct at the hands of the Zerg." It may be a stretch, but I think the fact that Rain and Flash are good friends may contribute to his higher win rate, one way or another. Imo Rain is overrated. I saw a lot of mismicro in his ASL4 games like he was nervous or out of practice. And Best macro is so good that he can comeback from behind. This era hasn't been dominated by terran and zerg stars everywhere. If anything, Shuttle and Bisu have had way more success than any terran not named Flash. Protoss has always been the weakest race. I don't think anyone denies that. Without bisu the race is going to be further behind than it already is. PvZ is such a crap show I no longer even watch BW. woah how did Stork end up with PvZ as his best matchup? not by much, but still. What happened to that guy? Bisu was good against zergs that is undisputed. But for me Jangbi and Stork have always been better players. You should try watching again. Without the bias, though. Can you manage? Try Soulkey vs Best from the ASL5 wildcard match. A great read and thanks! I have some doubts about the value of ASL statistics with the current map pool. Stork looks really friggin' scary indeed on his stream and Best, on the other hand, is not too inspiring. And we all miss JangBi, it seems. Shuttle has been great to see blossom and he indeed looks strong. But I think Stork is also just a level above his previous self and he seems to train hard enough to make me think he can go further~~~ can't wait til Tuesday. The 1st PvP v Snow will be big! It was a great read and it's good that it discusses in more general terms the situation of the 'toss race but I would like to point out as a more immediate aside that 3 of these will battle in Group B in the Ro16 this ASL. Reach was also a great protoss. Lewd Rain, i like it. thanks for your outdated and worthless input. if you dont watch anymore, please dont bother commenting on it either. Bisudagger, I wanted to include Movie and I think he was one of the best protoss after Bisu in the Sonic era but he rarely makes appearances these days and he's just not focused on BW anymore afaik. I think he would be another strong contender if he did though. Jealous, thanks for the correction. I don't think it's a stretch. Given, maybe his style just manages to counter flash's style though I would figure other protoss players would be able to do as well like Best but they don't hmm. For Protoss: Bisu, Shuttle and free. For terran: Hiya, sSak, Last, Mind, Sharp, Flash and Sea. For zerg: Killer, Larva, hero, Kwanro, EffOrt, Shine and Soulkey. Thanks for your post Bigfan, but I was thinking more in line with just the ASLs, because the SSLs didn't have all the good players back anyway. Outside of flash, only sea has been able to go far (and yeah, sharp but meh). And also, the maps were so terran-favored and only those 2 were able to achieve some kind of success. We saw shuttle win the first one, and we also saw bisu going far last season. And also, rain is the one who won the wildcard spot after the departure of bisu. I really think this era of bw has been dominated by flash and a bunch of zergs. The article didn't mention any current affairs so I wasn't sure whether there should be a connection or not. For those that have been following Stork this past season you must have noticed a huge improvement from the previous ASLs. Stork has always been Bisu's shadow, if you will, and the second best Protoss commander during the KeSPA era. Not sure if it’s just the new map pool or also the being the last remaining representative of his race from the famous TaekBangLeeSsang four, but I believe we will see him go far this season. "I never got the chance to really contribute to the team because we were disbanded so quickly". I heard stories that when the remaining Brood War pros, that didn't switch to another game, started streaming to earn a living, Stork was greatly opposed to the idea. I think Stork has been going through a hard time since the end of professional Brood War and so has not had the passion for the game like he used to; as a result, his performance has been sub-par. However, I feel that the motivation and passion that he once had for the game is starting to return, and so we can start to expect great things from him. Stork has always been a brilliant player, learning maps and finding strategies before others. I feel that this map pool and its awkwardness provide the ideal environment for him to thrive. Isn't Stork ranked first for win% on Sparkle? In the other ASL seasons I have felt that Stork's multitasking has been lacking. You watch other streams, Bisu in particular, and you realize that the reason Bisu is so effective against Zerg is because of his multitasking. I feel that Stork has been improving on this feature this most. There is a game posted in his stream thread, Stork vs Soulkey, that really helps to show this. I am not sure how much faith I have in the charts mentioned in the OP but one thing that should stand out about Stork is that PvZ is shown to be his best match up. This has never been the case, below is a conversation, translated by TinyLand, after ASL2. Sea: "What are your thoughts on Zerg? Stork: "Truth be told... I have given up on Zerg completely. I don't know how Bisu does it." I feel like another chart from Feb 2018 to current would show a much more successful and true representation of Stork this season. Stork to me a man of great character, both humble and honest. He has great insight and understanding of the game. It’s time for him to reassert himself has a leader in the Protoss race.